Courtesy of Buffalo Wild Wings. Just when you thought you've seen every incarnation of pumpkin spice food during the fall season, Buffalo Wild Wings introduces a barbecue pumpkin-flavored wing sauce that puts pumpkin spice yogurt to shame. 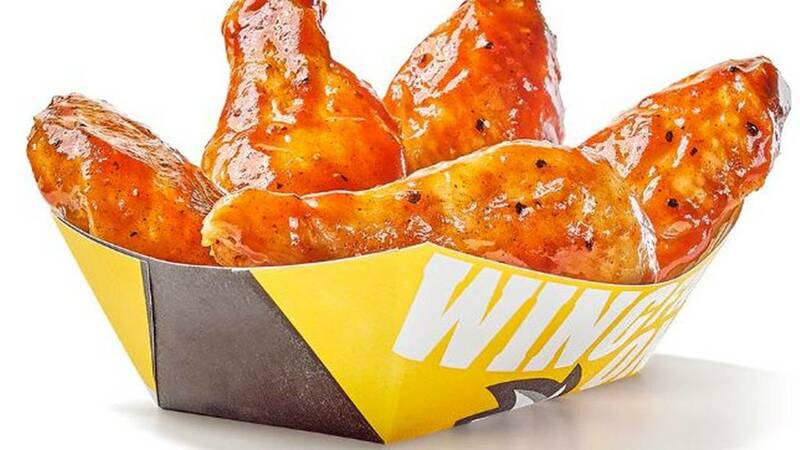 Buffalo Wild Wings -- known as BDubs if you're a regular -- decided to get in on the fall-flavored fun with a new pumpkin ale barbecue-flavored wing sauce that debuted Oct. 1. According to the restaurant's website, the new sauce "is fall's favorite flavor. Ale mixes with BBQ flavors and pumpkin spice for a taste of the season." Now, before you decide to cancel fall forever and throw your jack-o-lantern in the trash in protest, pumpkin spice-flavored beer is a very popular drink during this time of the year, so it's not that much of a stretch that BDubs decided to experiment with the popular flavor. And honestly, it sounds a lot more appetizing than the pumpkin spice butter or pumpkin spice salsa. So what do you think? Would you try a bite of chicken that's been lathered up with pumpkin spice wing sauce, or would you take the high road and say, "Enough is enough"? Let us know in the poll below.